UPDATE 7/19/2017 11:20am eastern: Facebook Gives Official Explanation for Page Removals. But Does It Make Sense? 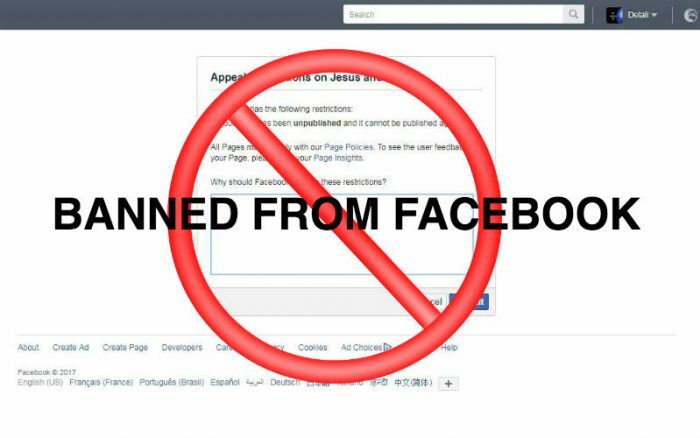 In the last day or so, Facebook has removed a large number of very popular Catholic Facebook pages worldwide, without explanation. 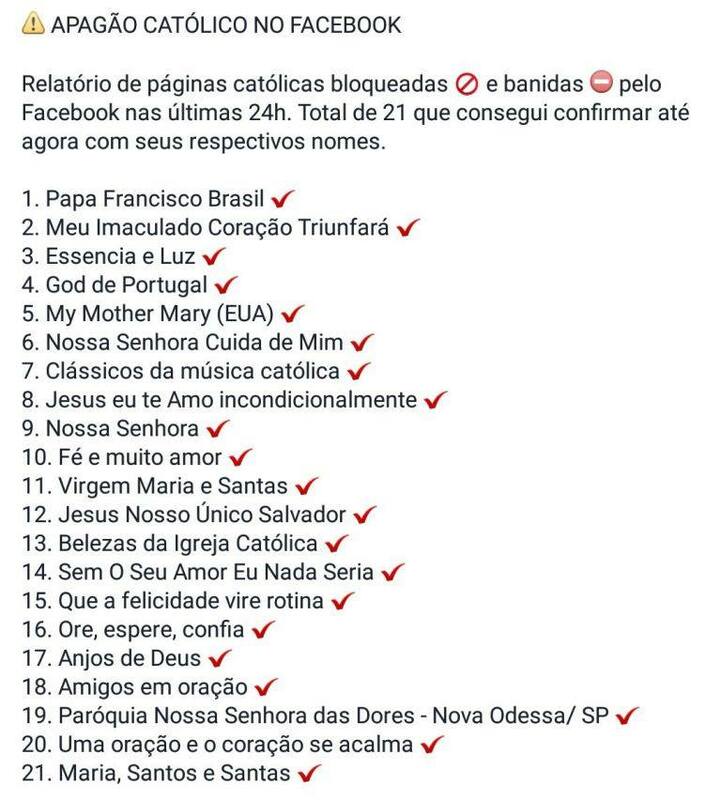 Our sister Portuguese-language Catholic news agency, ACI Digital, has additional reporting about the situation for Portuguese-language Facebook pages you can read here. Facebook has so far given no explanation for the page removals. Last year, Facebook was criticized for allegedly suppressing news deemed “conservative,” though Facebook CEO Mark Zuckerberg denied the claim and met personally with conservative leaders to assure them of Facebook’s neutrality.